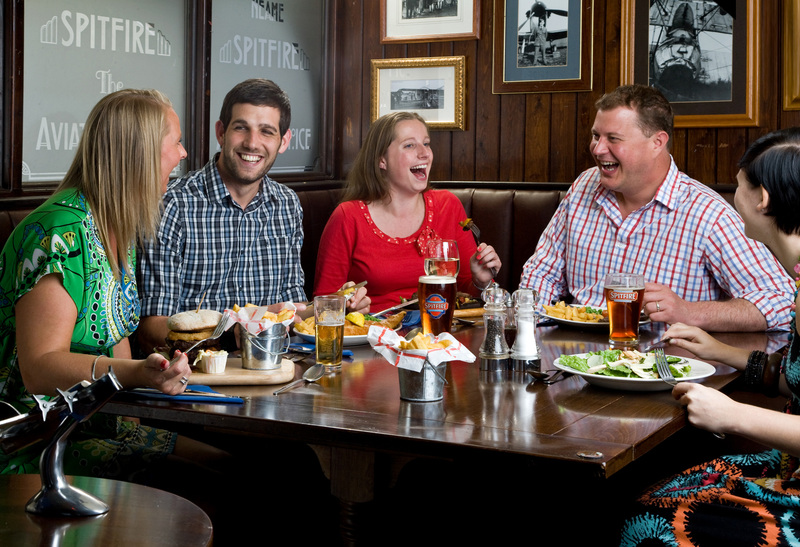 A great place to enjoy an evening meal or pub lunch in Sheerness, The Aviator serves delicious bar snacks and pub classics to suit all tastes. Indulge in Aviator favourites such as Steak and Spitfire Ale Pie and Moby’s Traditional Cod and Chips, or try a range of gourmet burgers named after famous aircraft, including the ‘Tiger Moth’. Many diners take advantage of the popular two-course Meal Deal, available Monday to Thursday. Or why not pop along on Wednesday for Steak Night?